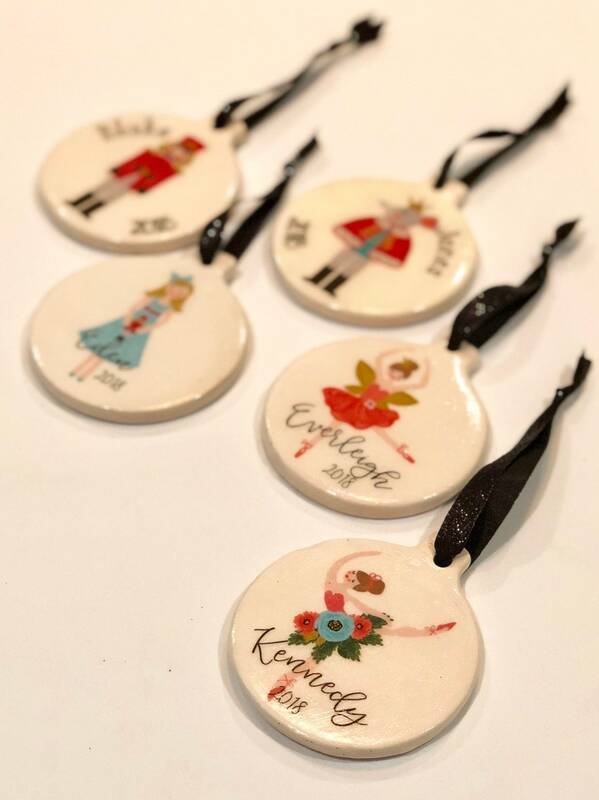 Have an even merrier holiday with this personalized ceramic Nutcracker ballet ornament. 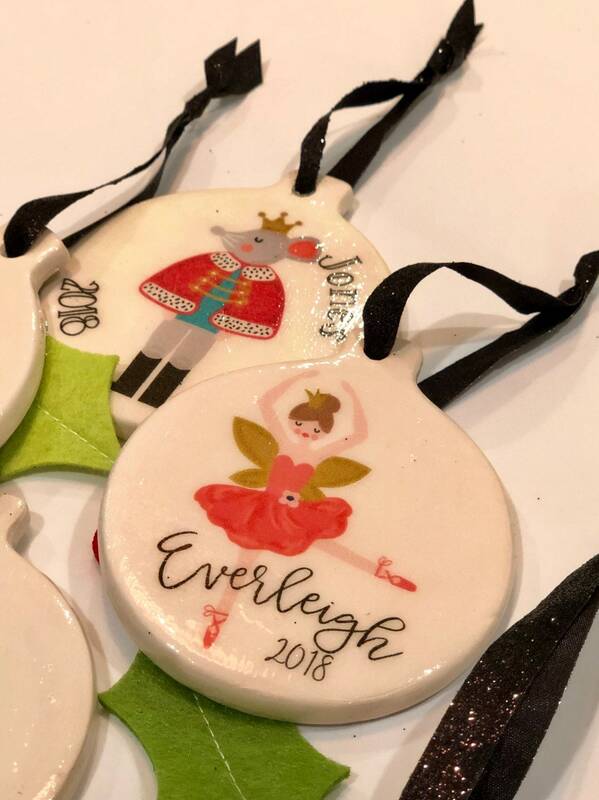 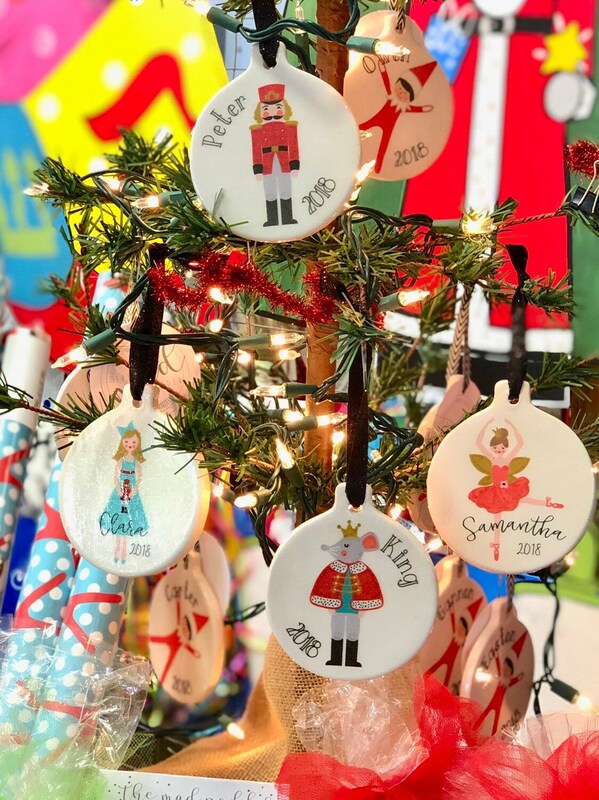 Measuring 2-7/8" in diameter and 1/4" in width, the characters from the Nutcracker are beautifully displayed on each ornament! 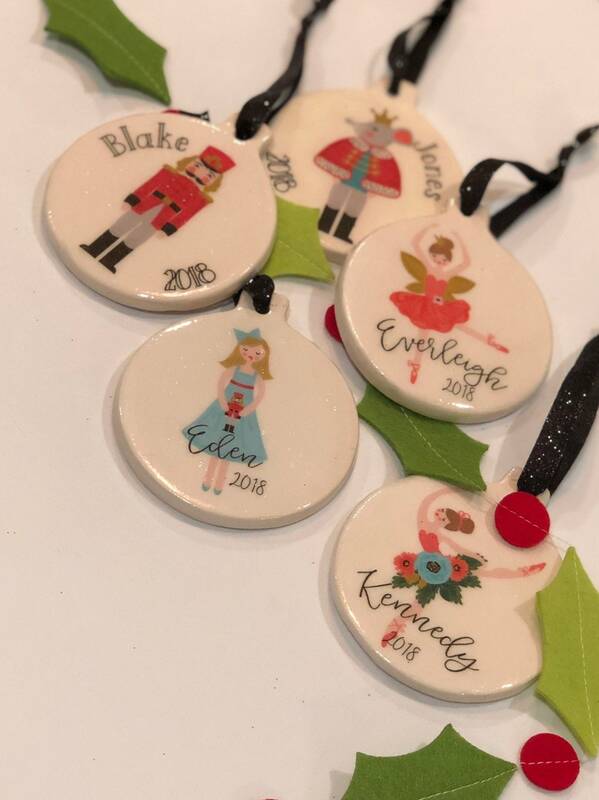 When ordering, choose the character from the dropdown box, then enter the name you would like personalized at the top in the comments box. 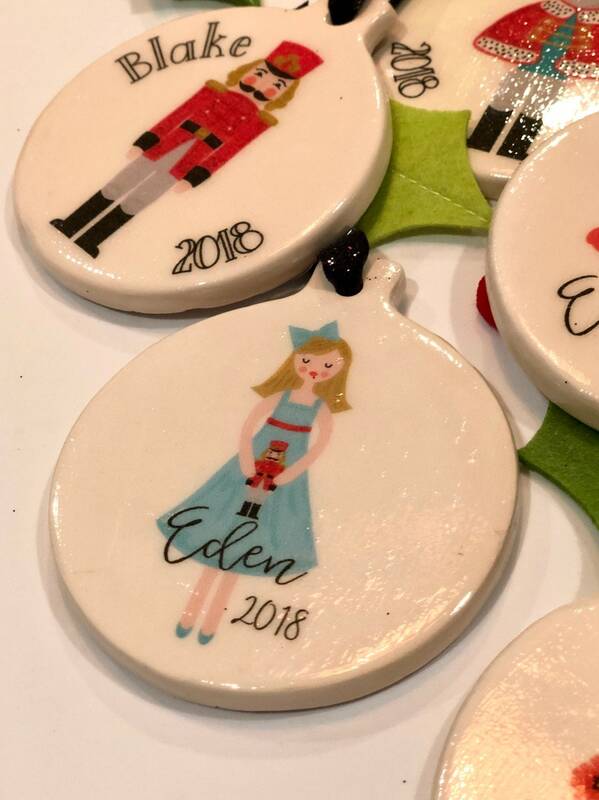 The year, 2018, will be added to the bottom, but you may customize it with something different by also entering that in the comments box. 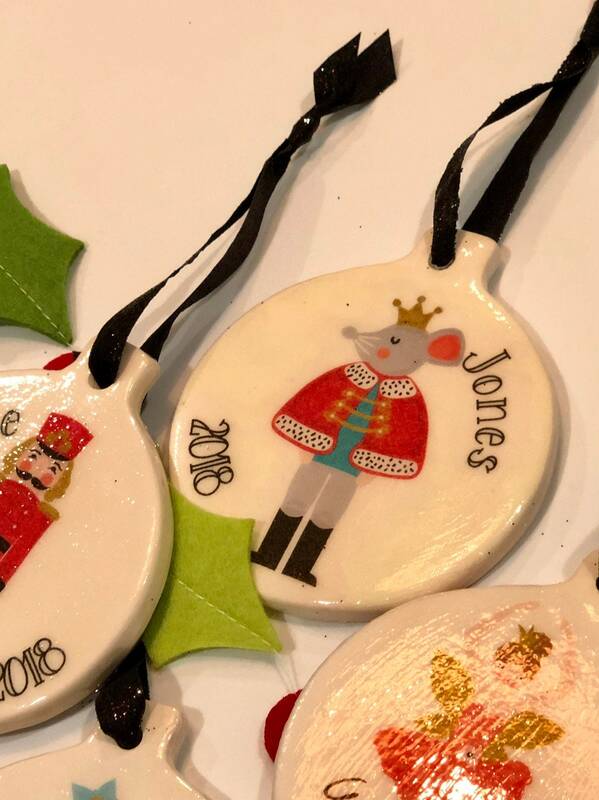 These ornaments are made by hand. 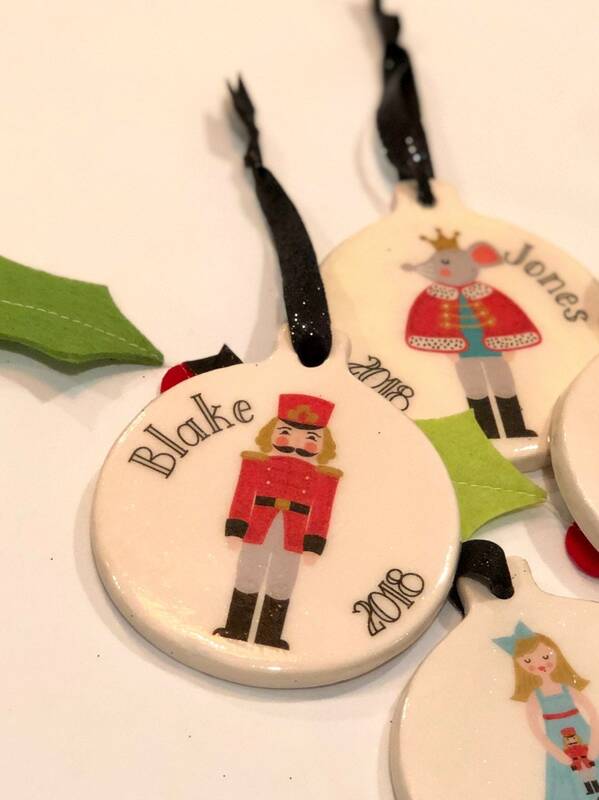 The image will be on both sides of the ornament and sealed with a glaze. 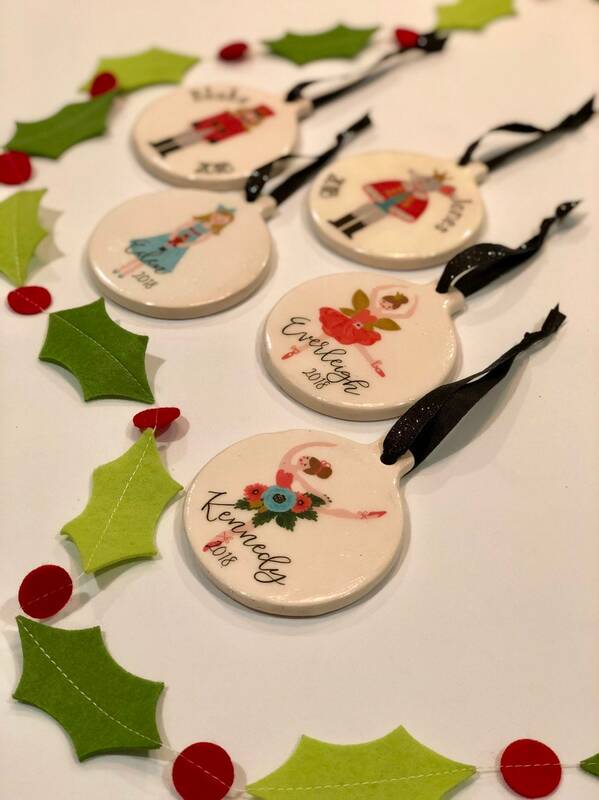 A glittered, black ribbon is tied at the top of the ornament, which makes it ready to hang on the tree or tie to a gift! 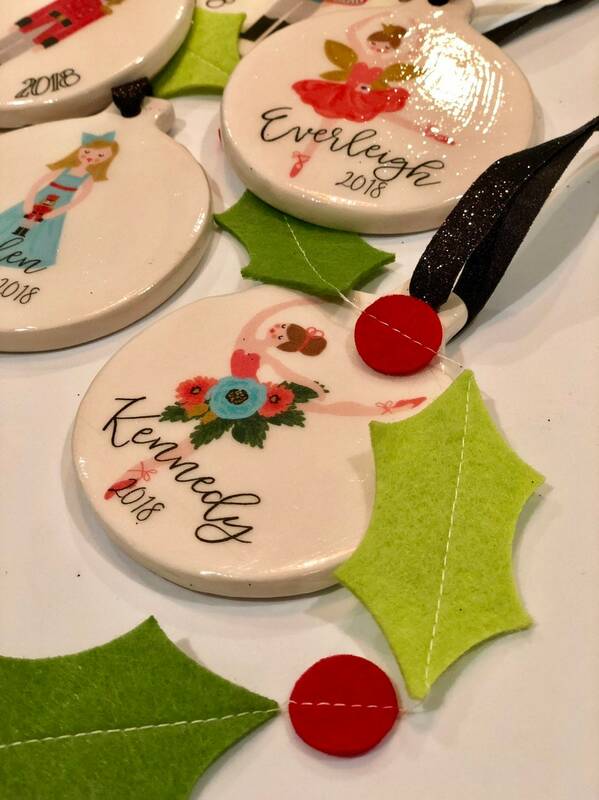 Please know that the porcelain ornament may have slight imperfections, as it is ceramic and not manufactured.